Texas Tech Physicians of El Paso is making a splash at every El Paso Locomotive home game, as the exclusive provider of health care to the city’s new professional soccer franchise. 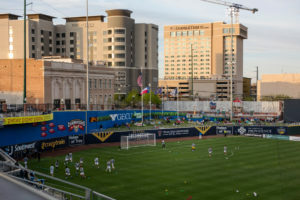 TTP El Paso’s sports medicine and orthopaedic physicians provide El Paso Locomotive athletes with a full range of medical services, including triage and evaluation of athletes’ injuries. They also provide preseason and postseason physicals and other care at TTP El Paso clinics. 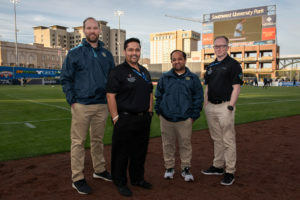 From left, sports medicine fellow Colby Genrich, M.D., sports medicine faculty Gerardo Vazquez, M.D., sports medicine fellow Ankit Patel, M.D. and William Weiss, M.D., assistant professor of orthopaedic surgery and rehabilitation. This partnership shines a spotlight on the university’s Department of Family and Community Medicine’s Sports Medicine Fellowship program and the sports medicine services provided at TTP El Paso at Kenworthy and TTP El Paso at Transmountain, as well as the Department of Orthopaedic Surgery and Rehabilitation. El Paso Locomotive hosted a TTP El Paso and TTUHSC El Paso Appreciation Night on March 23 at Southwestern University Park, and TTUHSC El Paso welcomed El Paso Locomotive athletes to the campus for an Employee and Family Appreciation event on April 1. 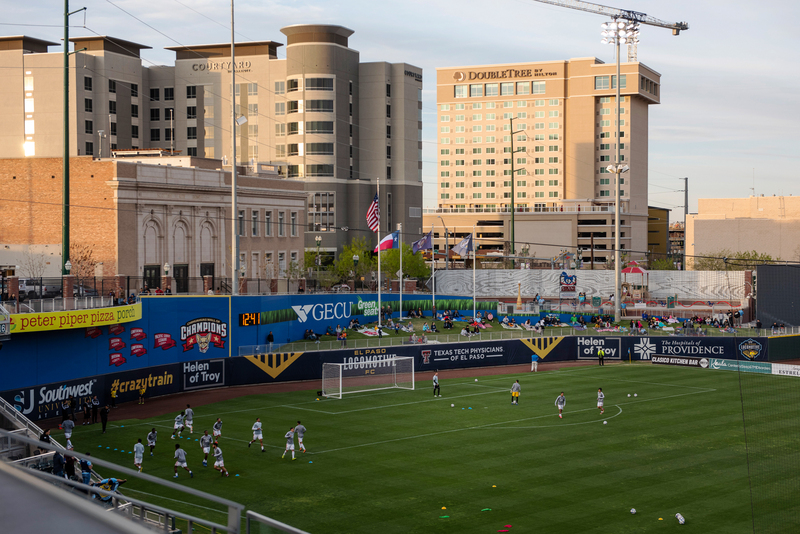 TTP El Paso is the exclusive health care provider for El Paso Locomotive FC.